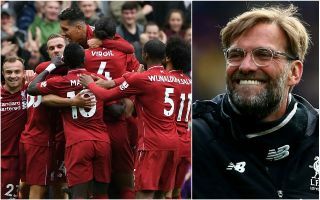 Liverpool fans were shocked by Jurgen Klopp’s team selection for their Premier League clash against Bournemouth, the Reds are down to bare bones because of injuries. Klopp has had to rotate his Liverpool side before they face Bournemouth given the injuries to his players, Liverpool are especially struggling in defence, with Joe Gomez, Dejan Lovren and Nathaniel Clyne all sidelined. Summer signing Fabinho has been brought into the starting lineup and Klopp has confirmed that the Brazilian will be playing in midfield and James Milner will be playing at right-back. Milner will need to use his experience of playing at left-back as he prepares to face off against Bournemouth’s speedy frontline that includes speed demon Ryan Fraser, Joshua King, David Brooks and Junior Stanislas. There is a silver lining for Liverpool fans with two stars being handed an injury boost. Sadio Mane is on the bench despite speculation that the winger would miss the game with a cut foot. Andrew Robertson returns to the starting lineup after missing out on Liverpool’s 3-1 win against Burnley on Wednesday evening.
? Team news time ? Despite their injury woes Liverpool fans can celebrate an impressive milestone today, midfielder James Milner will be making his 500th Premier League appearance against Bournemouth. Why is Trent not starting at right back today? This is massive game today and I would have like to have seen a natural right back starting today. Liverpool fans also have one eye on the all important Champions League fixture against Napoli on Tuesday evening, this could explain Klopp’s choice to start Milner at right-back as opposed to natural right-back Trent Alexander-Arnold. Liverpool will play three games in eight days starting with today’s clash against Bournemouth. The Reds host Napoli at Anfield on Tuesday night and the team will have to quickly turn their attention back to the Premier League as they welcome a visit from bitter rivals Manchester United on Sunday afternoon.